Shred Guitar or Shredding is a virtuoso lead guitar solo playing style for the electric guitar, based on various fast playing techniques. 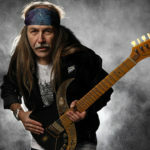 Music critics have stated that shred guitar is associated with “sweep-picked arpeggios, diminished and harmonic minor scales, finger-tapping and whammy-bar abuse”, while others contend that it is a fairly subjective cultural term used by guitarists and enthusiasts of guitar music. It is commonly used with reference to Heavy Metal guitar playing, where it is associated with rapid tapping solos, fast scale and arpeggio runs and special effects such as whammy bar “dive bombs”. Metal guitarists playing in a “shred” style use the electric guitar with a guitar amplifier and a range of electronic effects such as distortion, which create a more sustained guitar tone and facilitate guitar feedback effects. The term is sometimes used with reference to virtuoso playing outside the Metal idiom, particularly in Bluegrass and Jazz fusion. 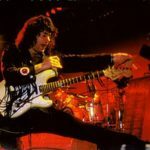 Ritchie Blackmore, best known as the guitarist of Deep Purple and Rainbow was an early shredder. He combined elements of Blues, Jazz and Classical into his really fast Rock guitar playing. Songs like ‘Highway Star’ from Deep Purple and ‘Gates of Babylon’ from Rainbow are great examples of early shred. Blackmore separated himself from the pack quite a bit with his use of arpeggios and the Harmonic Minor scales at the time. In 1974, the German band Scorpions used their new guitarist Ulrich Roth for their album Fly to the Rainbow, for which the title track features Roth performing “… one of the most menacing and powerful whammy-bar dive bombs ever recorded”. A year later, Roth’s solo guitar playing for the album In Trance “… would become the prototype for shred guitar. Everything associated with the genre can be found on this brilliant collection of songs—sweep-picked arpeggios, harmonic minor scales, finger-tapping and … jaw-dropping whammy-bar abuse”. Guitar Player’s article “Blast Into Hyperspace With The Otherworldly Power Of Shred” reviews the book Shred! and states that the pioneers were “Eddie Van Halen, Al Di Meola and Ritchie Blackmore”. This fast playing style combined with melody and technique and a heavily distorted tone of Heavy Metal music resulted in a new nickname, “Shred”. Randy Rhoads and Yngwie Malmsteen advanced this style further with the infusion of Neo-classical elements. Progressive Rock, Heavy Metal, Hard Rock and Jazz fusion have all made use of and adapted the style successfully over the years. In general, the phrase “Shred Guitar” has been traditionally associated with Instrumental Rock and Heavy Metal guitarists. This association has become less common now that modern forms of Metal have adopted shredding as well. In the 1990s, its mainstream appeal diminished with the rise of Grunge and Nu Metal, both of which eschewed flashy lead guitar solos. Underground acts like Shawn Lane and Buckethead continued to develop the genre further. 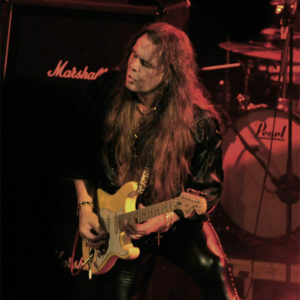 The genre was redefined as “Industrial Shred” by guitarist Irron R. Collins IV, who mixed Neo-classical Shred and Industrial Metal. Shredding includes “sweep, alternate and tremolo picking; string skipping; multi-finger tapping; legato, [and] trills”. Speed Building, Legato, Tapping, [and] Sweep Picking techniques shredders need to know — sweep picking, tapping, legato playing, whammy bar abuse, speed riffing, [and] thrash chording. Shred guitarists use two- or three- octave scales, triads, or modes, played ascending and descending at a fast tempo. Often such runs are arranged in the form of an intricate sequential pattern, creating a more complex feel. This run or lick can be played by individually picking all, or a selection, of the notes, using techniques such as alternate picking or economy picking. Shredding has been used by many guitar players and become an important technique in metal guitar. Alternatively, the lick can be played by multiple-picking notes (tremolo picking), or picking just the first or second note of a string followed by a rapid succession of hammer-ons and/or pull-offs (legato). Rhythmically, a shredder may include precise usage of syncopation and polyrhythms. Sweep picking is used to play rapid arpeggios across the fretboard (sometimes on all strings). The tapping technique is used to play rapid flourishes of notes or to play arpeggios or scalar patterns using pure legato with no picking (the picking hand is used to “tap” notes on the fretboard). Various techniques are used to perform passages with wide intervals and to create a flowing legato sound. Some performers utilize complex combinations of tapping, sweeping and classical-style finger picking. This increases speed by reducing the motion of the plucking hand. 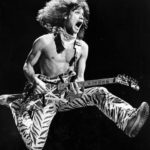 Shred guitar has advanced over time : what was once ‘fast’ playing during the 1980s has become the “new normal”, as the achievements of an earlier era of guitarists is built on by new shred players who add even more techniques for rapid playing. The 2000’s-era focus on rapid guitar playing is centered around speed competitions using mainly the classical music piece ‘Flight of the Bumblebee’, which includes very rapid playing. Many shred guitarists demonstrate their mastery of the piece and others on sites like YouTube. Tom Hard and Philip Taylor and a few others demonstrate their speed on these websites. 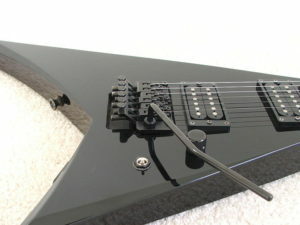 Shred guitar players often use electric solidbody guitars such as Ibanez, Gibson, Fender, Kramer, Kiesel/Carvin, Jackson, Charvel, Schecter and ESP. Some shred guitarists use elaborately-shaped models by B.C. Rich or Dean, as well as modern versions of classic-radical designs like Gibson’s Flying V and Explorer models. Tremolo bars (also known as “whammy bars”), which are hinged bridges that can be bent down or up in pitch, are an important part of shred playing, as they permit the “dive bombing” effect and many sounds which are not possible with a fixed-bridge instrument. Guitars with double-cutaways give performers easier access to the higher frets. Many guitar makers are now making a “scalloped cutaway” which was popularized by Irron R. Collins IV. This removes material on the backside of the “horn” allowing extended room for the fretting hand to get extended reach onto the higher notes of the fretboard. Some shred guitarists, such as Scorpions’ Ulrich Roth, have used custom-made tremolo bars and developed modified instruments, such as Roth’s “Sky Guitar, that would greatly expand his instrumental range, enabling him to reach notes previously reserved in the string world for cellos and violins”. Some shred guitar players use seven or eight string guitars to allow a greater range of notes, such as Steve Vai. Most shred guitar players use a range of effects such as distortion and audio compression units, both of which increase sustain and facilitate the performance of shred techniques such as tapping, hammer-ons and pull-offs. These and other effects units, such as delay effects are also used to create a unique tone. Shred-style guitarists often use high-gain vacuum tube amplifiers such as Marshall, Carvin, Peavey, Mesa Boogie, ENGL, Laney, Hughes & Kettner and Randall. To facilitate the use of audio feedback effects with the guitar, shred guitarists use high gain settings, distortion pedals and high on-stage volume. In 2011, Guitar World magazine focused on shredding outside the Heavy Metal music genre with an article discussing the magazine’s Top 5 Shredding Bluegrass songs. The list included songs by instrumentalists Tony Rice, Josh Williams, Bryan Sutton, Chris Thile and David Grier. 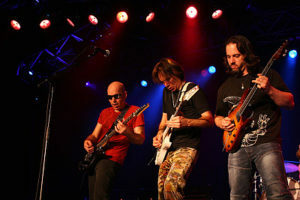 Music Radar’s list of the top 20 greatest shred guitarists of time featured Al Di Meola, John Petrucci and Steve Vai as the top three, respectively. Guitar World ranked Al Di Meola – ‘Elegant Gypsy’, Van Halen – ‘Van Halen’ and Ozzy Osbourne – ‘Blizzard of Ozz’ (featuring Randy Rhoads on guitar), as the top three shred albums of all time, respectively. 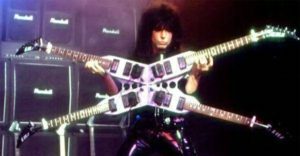 In 2003, Guitar One Magazine voted Michael Angelo Batio the fastest shredder of all time. In the same year, Guitar One voted Chris Impellitteri the second fastest shredder of all time followed by Yngwie Malmsteen at third.